Kennedy Point Vineyard was established in 1996 by Neal Kunimura and Susan McCarthy with Bordeaux varietals and Syrah. From the beginning, the philosophy of the family owned vineyard has been to focus on producing the very best wines from the site matched with thorough attention in the vineyard and wine production. This approach was rewarded in 2009 when the Syrah 2007 won Gold & Trophy at the IWC. Our mission is to take gentle care of this beautiful land to allow healthy vines to produce amazing wines. Our Syrah is the star of our cellar door but there are plenty of unsung heroes including the exquisitely crafted Cuvee Eve Chardonnay, Cabernet Franc and Malbec. 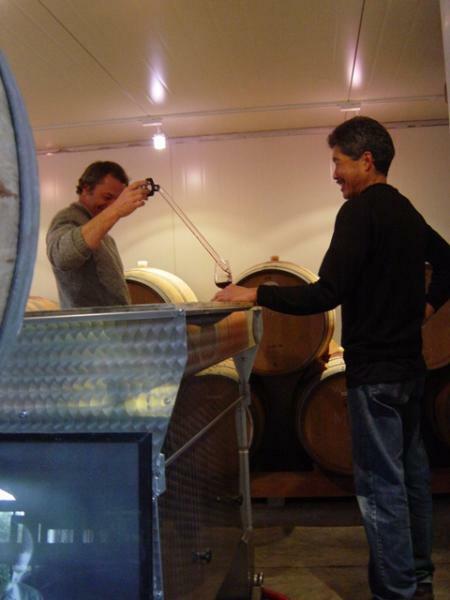 Enjoy tastings of organic wine, olive and avocado oils, Manuka and Pohutukawa honey.